With nothing better to do one afternoon at the South-by-Southwest interactive festival 2011, my friend Tim Washer & I spent an afternoon in search of outrageousness. Fortunately John Knowles and John Birdsong from The Roger Smith Hotel captured our quest on video. We found bats (lots and lots of bats), cops, a Leica camera, John Jantsch, pink feather boas, and (maybe, we're not quite sure) Mark Zuckerberg. This insider's view gives you an idea of what it was like to be there at the festival. 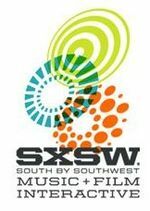 Direct link to In search of the outrageous @SXSW 2011 on YouTube. Featuring: John Jantsch, Carolyn Monaco, Renee Alexander, Aliza Sherman, Patricia Cich Lee, Austin's finest, and the world's largest urban bat colony.